Mitch Teich speaks with Tetiana Matychak and Olga Yurkova; co-founders of the website, StopFake.org, and Maria Haigh; a native of Ukraine who is now an associate professor in the School of Information Studies at UW-Milwaukee. In American journalism, the website Politifact has emerged as a leading national effort to fact-check statements made by politicians and other news makers. It's a given, though, that the American media is an independent one, and while some elements might be opinionated, it is not seen as a tool for national or local governments to issue propaganda. Contrast that dynamic in the United States with the Cold War-era Soviet bloc, in which news outlets such as TASS were unquestionably the mouthpiece for the regime in power. But have things changed since the Iron Curtain came down? A team of Ukrainian journalists would say they have not, at least in the context of the Russian annexation of the Crimea region and its ongoing conflict with Ukraine. Tetiana Matychak and Olga Yurkova are the co-founders of the website, Stop Fake, which works to expose fraudulent news reports about the conflict. They've been in Milwaukee since last week to speak at the invitation of the UW-Milwaukee School of Information Studies. Matychak, Yurkova, and associate professor Maria Haigh spoke with Lake Effect's Mitch Teich about their efforts in a constant battle with media. They say images, which are either Photoshopped or taken out of context, are the most common type of fakery they deal with. "When the fake [photo] is created, it is quickly spread across the web. It is very difficult to follow the spreading and to refute it and to disseminate it in the same way," says Matychak. In a time where using the internet and social media is commonplace, you might assume that most internet users are tech savvy and can easily fact check any report, photo, or source that appears in their news feed. However, Olga Yurkova says this is not the case. "Using the internet, it's usually possible to establish the credibility of any photo within a matter seconds. As it turns out however, most users are incapable of this. They instantly believe." 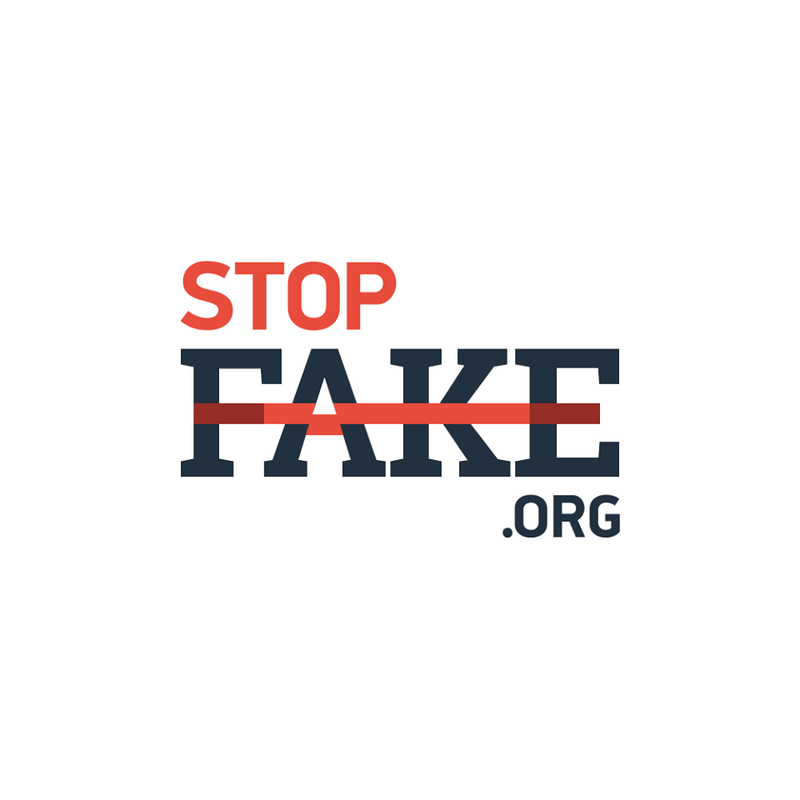 Since Stop Fake's efforts began, both the founders and their organization have received threats and have sustained hacker attacks. But despite the potential dangers, Matychak and Yurkova say they're determined to continue their effort to expose fraudulent news stories and try to counter them with the truth. To that end, their website even offers a guide to identify a fake photo, produces regular news broadcasts, and is constantly on the look out for more stories to correct. Despite the internet being the source of the fake news they are combating, it is still their most valuable tool. "Even if they demolish our website, we will create another website, and then another website, and then we have social networks to spread our ideas," says Matychak. StopFake's cofounders, Tetiana Matychak and Olga Yurkova join Maria Haigh, a Ukraine native who is now an associate professor in the School of Information Studies at UW-Milwaukee at a roundtable discussion on Ukraine March 31st at the UWM Library's American Geographical Society Library. Listen to Art Cyr's essay. ‘To jaw-jaw is better than to war-war,’ said Winston Churchill in 1954, supporting the principle of nations negotiating. Those wise words from a great leader who understood war should be kept in mind regarding the Geneva accord on the crisis in Ukraine. Sofron Nedilsky is among millions of Ukrainian natives watching unrest play out in that country. He wishes the focus was on its culture and customs. Late yesterday afternoon, Dutch investigators were finally allowed access to the Malaysian jetliner that was shot down over rebel-held territory in Ukraine. The bodies that have been recovered are being transported back to the Netherlands, where the flight took off last week. If you are an American, the chances are good you know little, if anything, about the eastern Russian city of Magadan. But if you’re a Russian of a certain age, you would think of it as a remote place where dissidents were sent to live under Stalin.